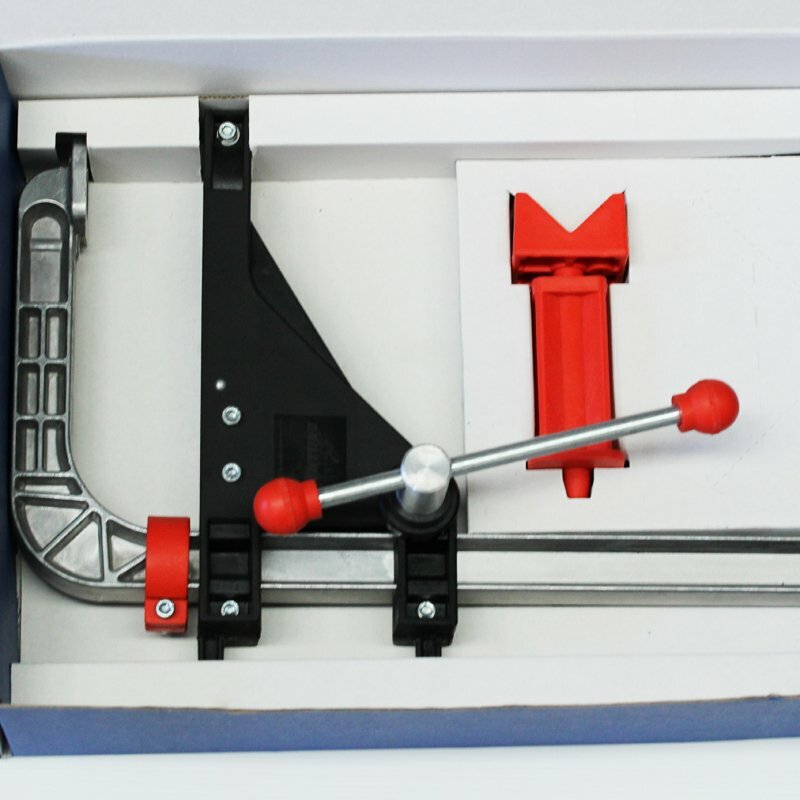 – The lightweight portable drill press. Weighing just 1.6kg (3?lbs). 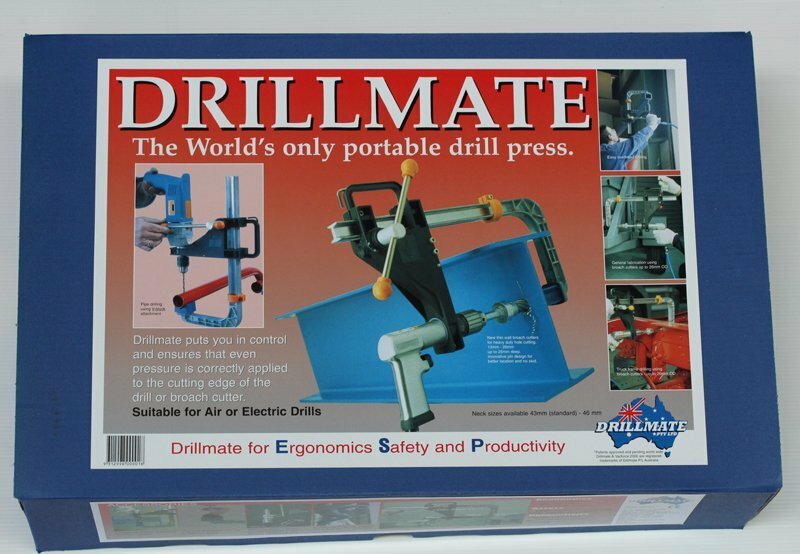 Drillmate adds little weight to your portable power drill (Electric or Air), but gives you the power to do the job Ergonomically, Safely and Productively. 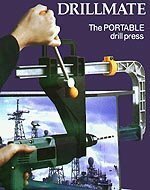 Drillmate with its 14:1 force ratio ensures the correct feed force is applied to the drill bit/cutter being used. With your correct selection of power drill speed to suit material and drill bit/cutter size, holes will be produced with reduced operator effort, increased operator safety and efficiency.